Bob Ryan pictured here with Chris White of White Labs in San Diego, California, last week. 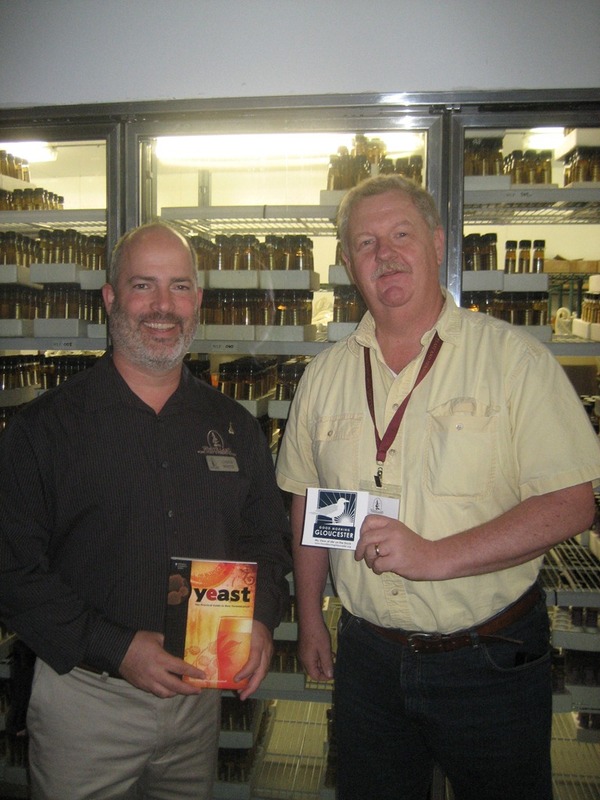 Bob was part of a small group of 18 from around the country to be educated on the cutting edge work being done by yeast designers and propagators for the distilling industry. Chris White, president of White Labs, holds a vast library of proprietary yeast for brewery, winery and distilling (and sour dough bread). Chris has also authored articles and books on the subject of yeast. Bob and Chris are standing in front of only a partial amount of the inventory of yeast vials White Labs handles. If you think Bob “Pasteur” Ryan could run on about distilling before, don’t get him started on yeast!